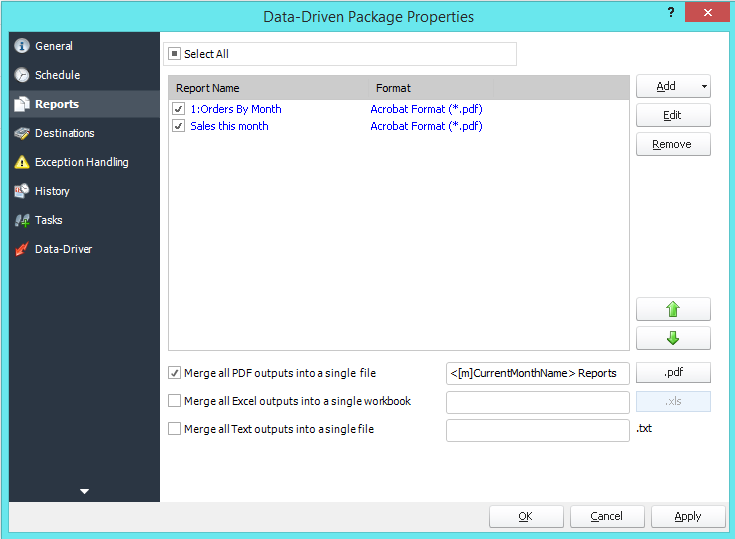 PBRS contains powerful scheduling for delivering filtered Data Driven Power BI reports to SharePoint. Want to see how? Bring Dynamic Filters & Data Driven publishing to your Power BI reports distribution infrastructure - with a single Power BI user license. Use the data in your database to automatically populate report filters, destinations, formats, email addresses, body text and much more. Multiple Excel reports can be merged into a single workbook, multiple reports can be zipped and password protected, and then emailed. Deliver your Power BI reports to SharePoint. Static: The same filter is applied every time the report is exported. Dynamic: The filter value is data-driven and is dynamic. It is based on a query or variable. It's easy to schedule Power BI Reports to run at a specific date and time, or to run them hourly, daily, weekly, or monthly or set up your own custom frequencies e.g. 4-4-5, every other day, third Monday of the month, and so on. And the same report can be scheduled to be run multiple times with different filters, formats, frequencies, and destinations. Distribute Power BI Reports and respond to your business needs by setting schedules to run based on events and triggers rather than date. It’s Never Been Easier To Deliver Your Power BI Reports To SharePoint!